The Foo Fighters formed back in 1994 by Nirvana drummer, Dave Grohl. Throughout the past 20 years, they have taken the music industry by storm, winning countless awards and nominations. This music video was directed by the band’s lead singer and songwriter, David Grohl. In the video, Grohl comes back to his apartment to find that his living room is filled with doppelgangers of the entire band. Each of the band members plays a different character in a hospital soap opera in this video. It is meant to be satirical and a spoof of stereotypical 1970-era soap opera videos. The latest music video from the Foo Fighters, they take rock n' roll to a nursing home. Everlong is essentially a bad dream where the band members have to fight off zombies with extremely enlarged hands. This entertaining video was nominated for “Best Rock Video” at the 1998 MTV Video Music Awards. 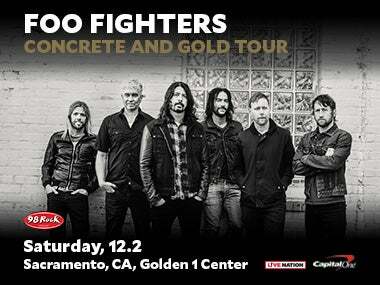 The Foo Fighters will be coming to the Golden 1 Center on Dec. 2, 2017. Tickets on sale now!